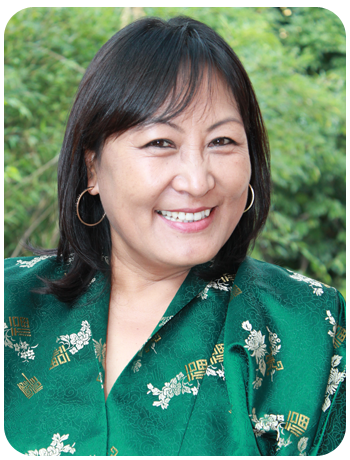 Dago Beda joined the Royal Government of Bhutan, Department of Tourism, Sales and Marketing Manager as the first graduate and the first female officer.After the privatization of tourism Dago together with two colleagues from the tourism department started Etho Metho Tours & Treks in 1990. She was instrumental in framing the policy of the Bhutanese Tourism Industry which is still in place today i.e. high value–low impact policy. Being an entrepreneur by nature, she has set up and invested in numerous business ventures. She is also on the board of many organizations. Dago is considered one of the pioneers of her generation and many younger women look up to her as a role model – a successful career woman in Bhutan. She is a loving mother of three children. Etho Metho Construction Company Pvt. Ltd. Nominated by IFC to represent the business community of Asia at the G-20 meeting in Washington D.C.
Jochu worked in the Department of Tourism as well and joined his tourism colleagues Dago and Nim to form the company. With an excellent eye for details and numbers, Jochu has managed the company’s finances for over 18 yrs and is known for keeping a tight string on the finances. Besides being a partner in the tour company, Jochu is also into the real estate business. He is one person who loves to maintain a healthy lifestyle and enjoys playing archery. Nim also worked in the Department of Tourism. 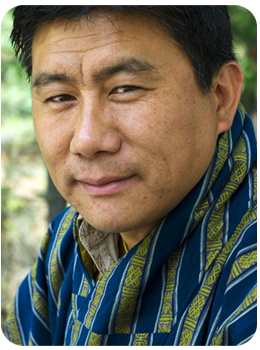 He was an avid trekker and has done most of the challenging treks in Bhutan including the arduous Snowman Trek. After the company was formed, Nim concentrated more on the operations of the company. Nim retired from Etho Metho Tours & Treks in 2010 but still remains a silent partner and a board member. Today Nim is an enthusiastic mountain biker. He has participated in many mountain bike races in the country. He has won several awards from bike & marathon races. Nim enjoys biking through the stunning rural countryside and villages. His other business ventures include the Hankook Tyre dealership, Giant Bike dealership, real estate, and an archery shop. 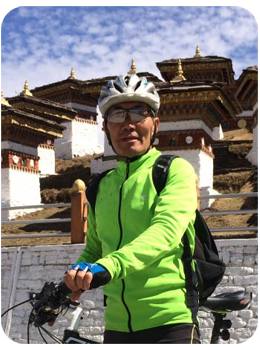 As a college student Sangay dreamt of travelling through every nook of Bhutan. His dreams were realized when he joined Etho Metho as a guide in 1991. His field expertise drew him to work at the office where he trained numerous guides and wrote countless tour documents for the company. Sangay’s passion for Bhutan’s culture and ecology is expressed in his book, “Seeing with the Third Eye: With Grandma in Rural Bhutan”. In 2008, Sangay became one of the partners of the company. He still guides walking and spiritual trips. 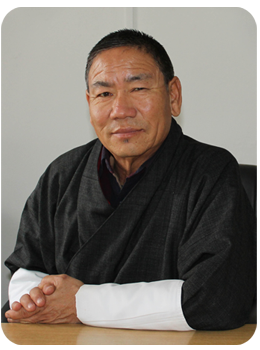 On the personal side, he is pursuing agro-tourism with a pilot project on his farm in Punakha.